Sports are important for children and adolescents growing up in America. Baseball, basketball, soccer and swimming are organized by local communities for children and youth. Many Coptic families take advantage of these sports for their children. As children get older, their interests change. Most cannot compete well in baseball which is not really understood and in turn not supported by their Egyptian-born parents. 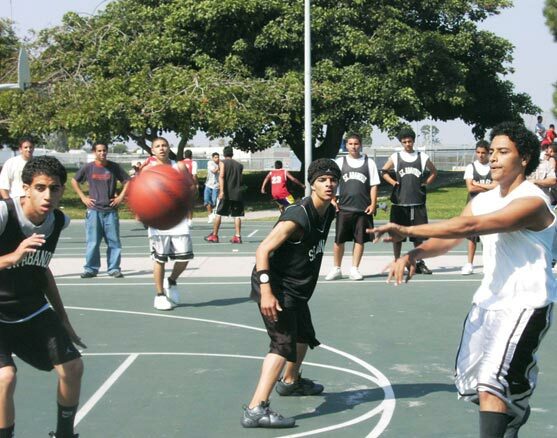 Basketball emerges as many of the youths’ favorite sport. It is especially popular in Southern California as there are some famous teams both at the college and professional levels. Many parents are avid watchers of such games on television. However, because of its enormous competitiveness, Coptic children need another outlet to practice and enjoy the game. Not all Coptic youth excel on high school teams. The churches are natural places for these activities.